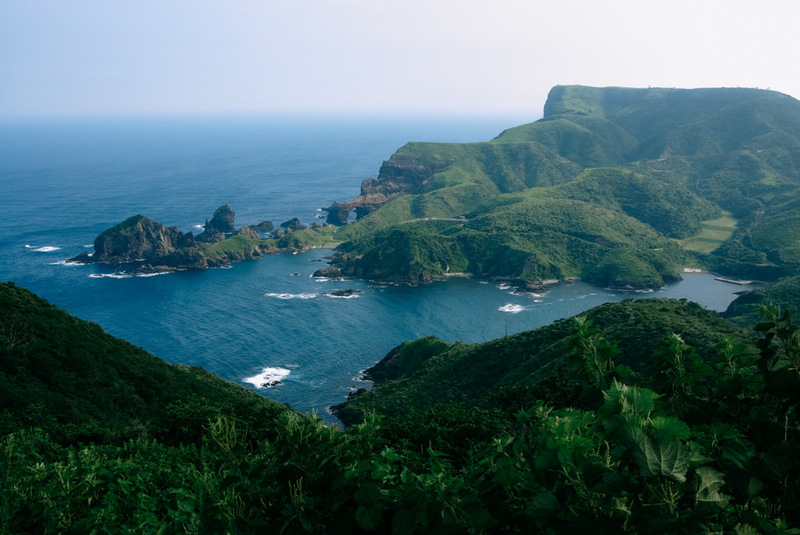 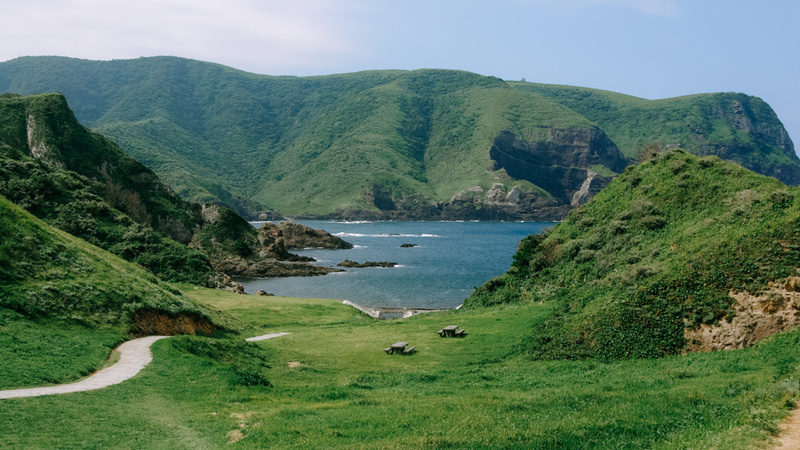 The Oki Islands consist of four inhabited islands with more than 180 uninhabited islands, located in the Sea of Japan, 40-80km off mainland Shimane Prefecture. 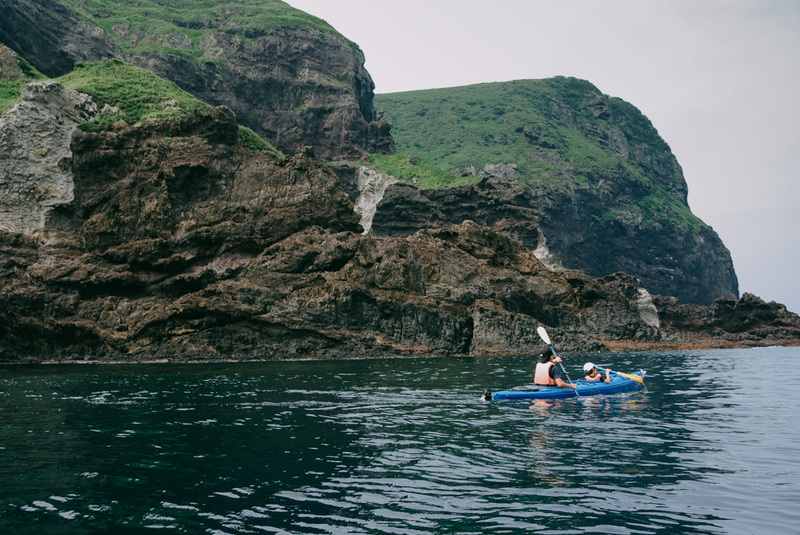 If you are traveling around the Japan Sea side of west Japan, we would highly recommend it for those who want to experience the distinct island way of life, unique culture, traditions, great seafood and of course the beautiful coastal scenery of volcanic islands. 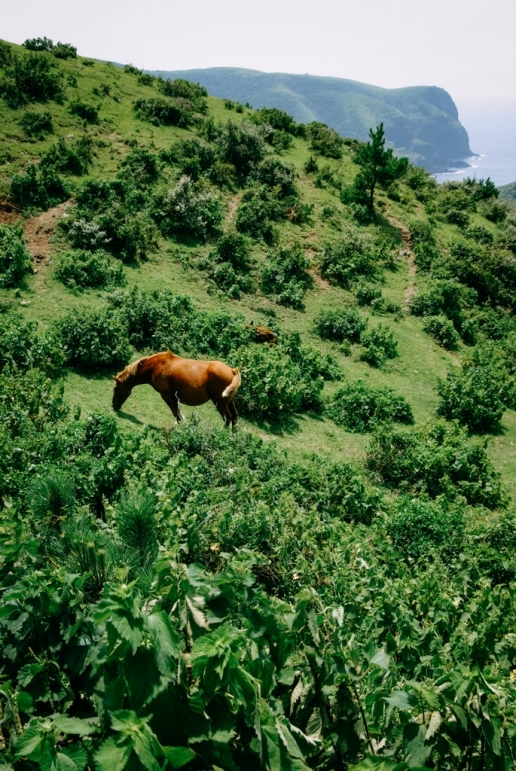 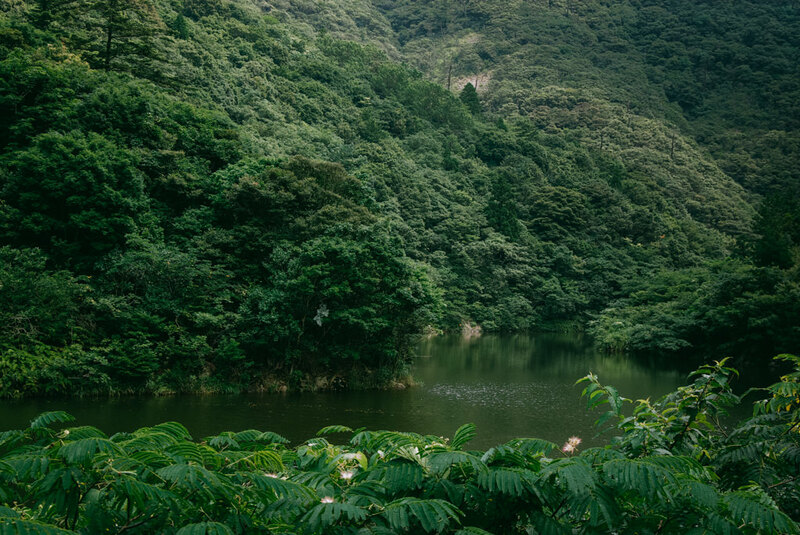 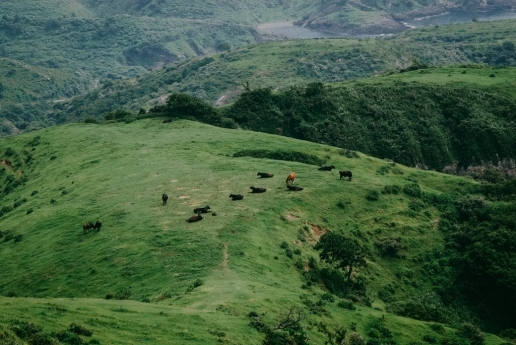 Nishinoshima Island is the second largest island in the Oki island group, best suited for nature lovers. 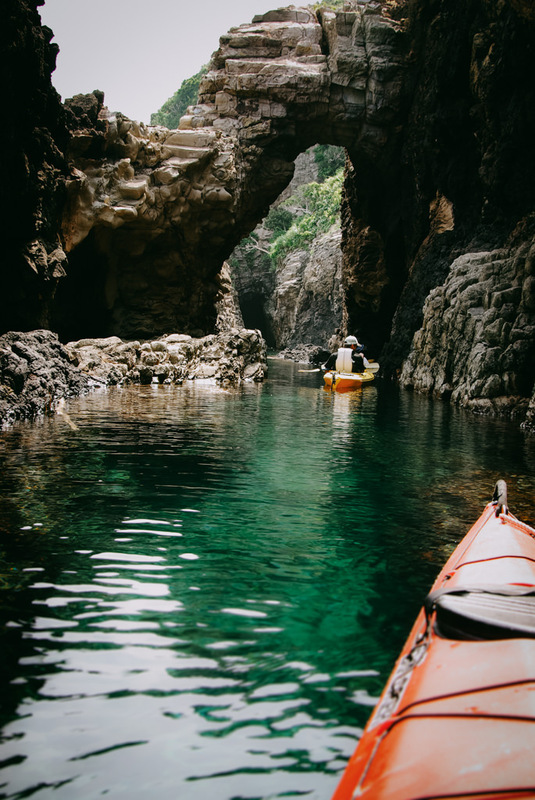 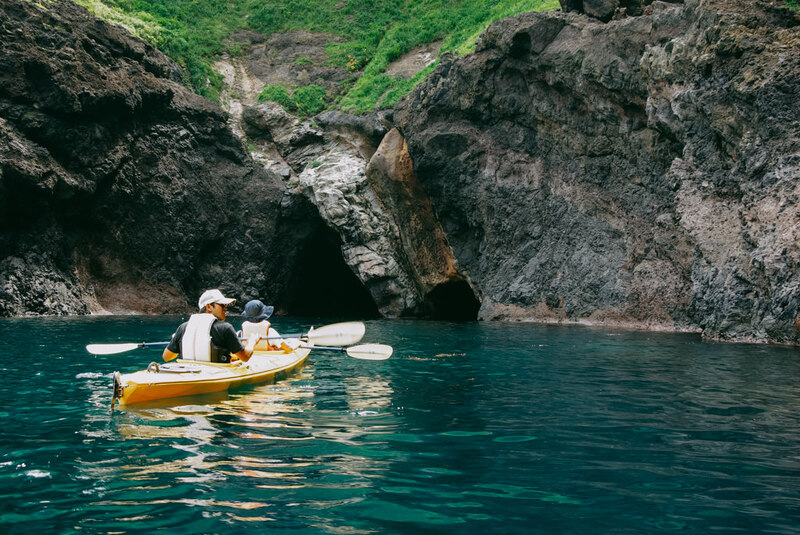 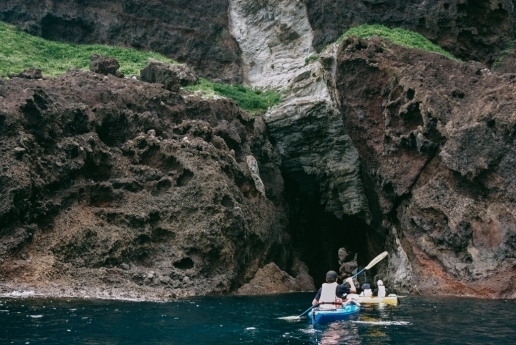 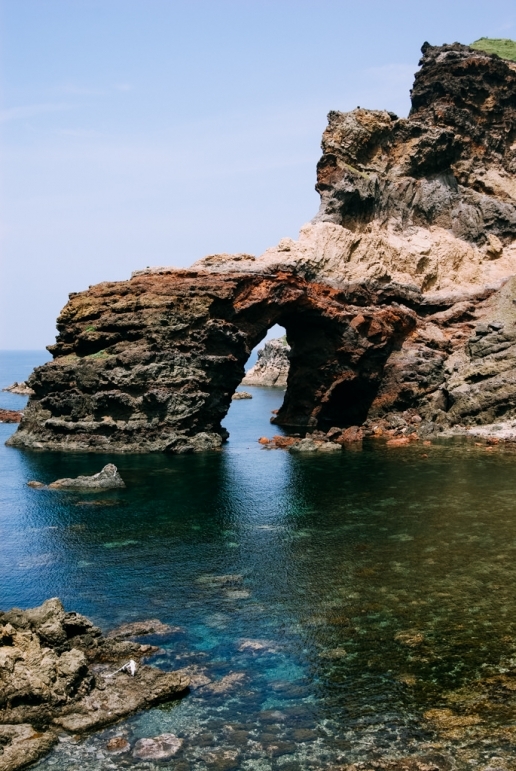 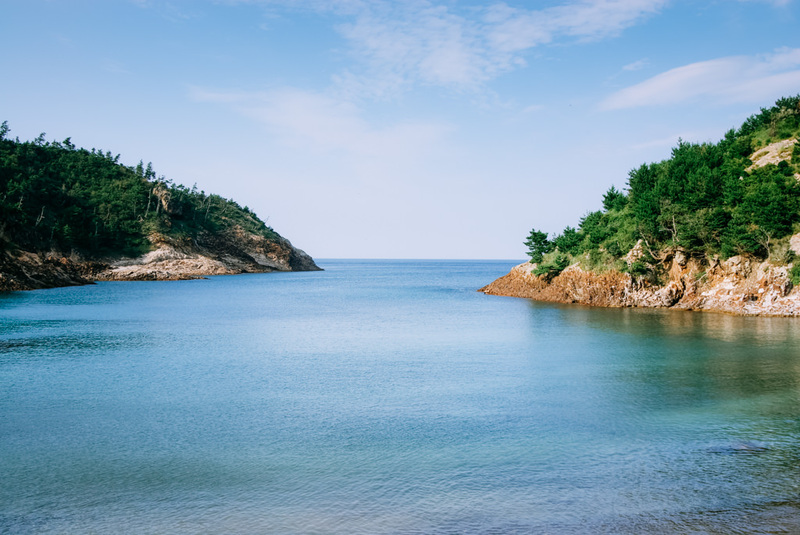 The dynamic rugged coastlines with many caves and clear calm water (between mid April and mid October) are perfect for sea kayaking and snorkeling. Underwater of the Oki Islands is unique, mixed between warm currents and cold currents, which is home to a wide variety of both temperate and tropical marine species such as colorful tropical fish and temperate soft coral. Complicated underwater volcanic landscape also attracts scuba divers for cave diving. 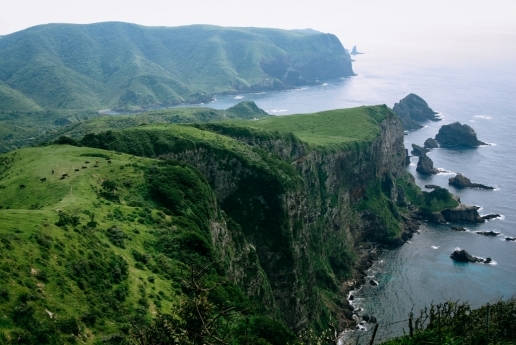 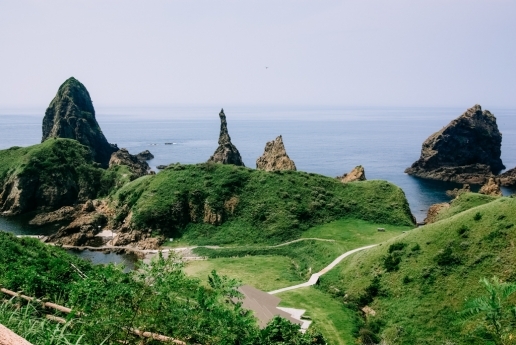 The Oki Islands have been designated as a globally important geological heritage site (Global Geopark) by UNESCO.